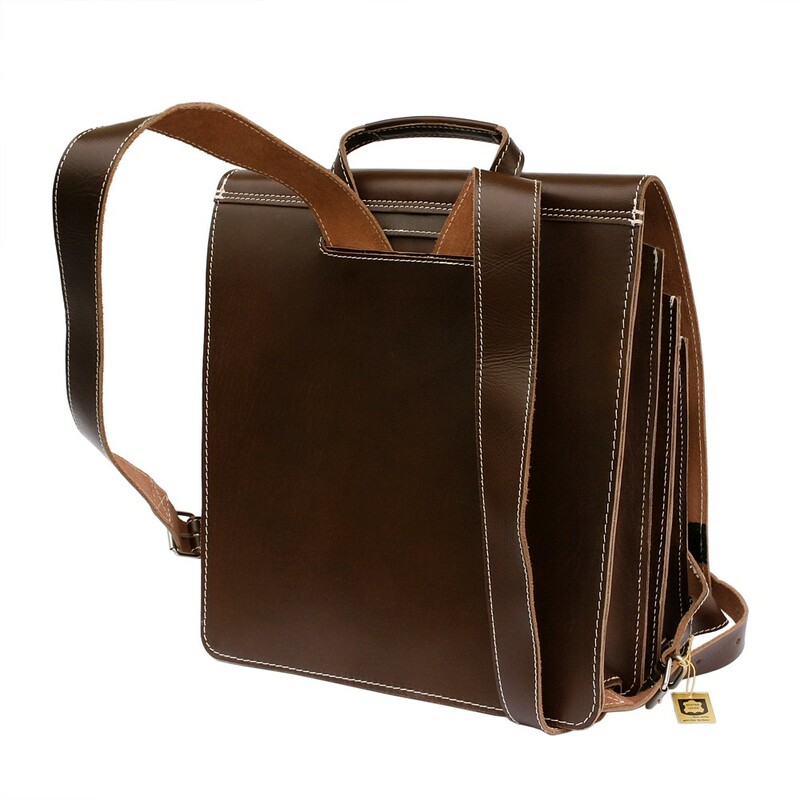 A 15 inch laptop, wide A4 folders, loose-leaf binders, books, calendar, notebook, pencils, mobile phone and other important items – able to fit everything but not have to search for long! 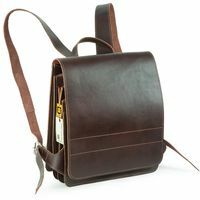 Everything finds its place nicely in this especially spacious leather pack in size XL and you always easily have an overview over where things are, even if the very sturdy rucksack is filled up to the top. 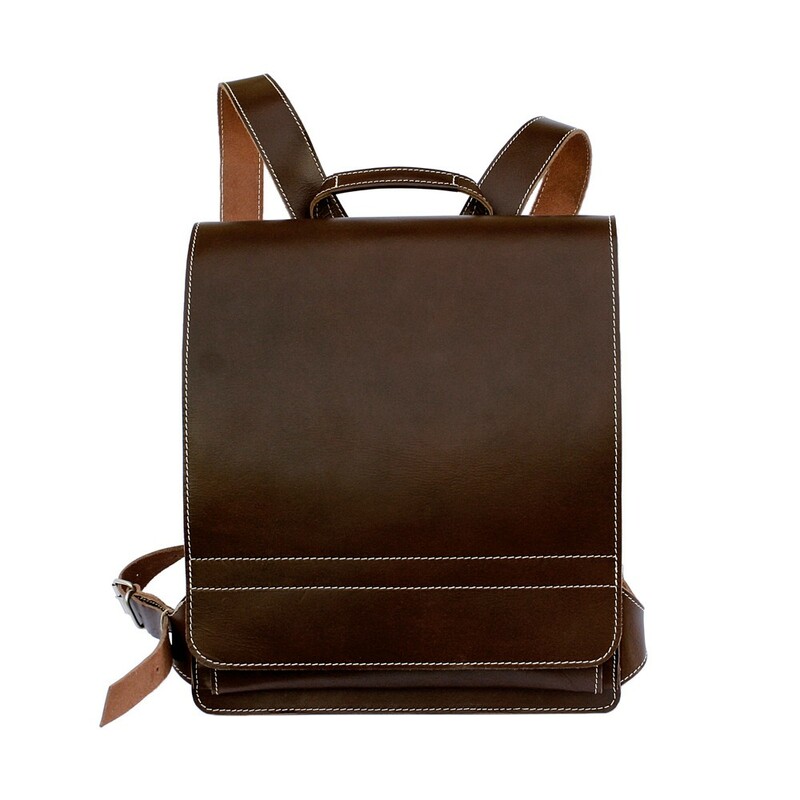 If you wish for this timeless beautiful daypack, which stands out by its simple elegance, much smaller, please choose our model 668 (size M). What happens when you cross a newspaper stand with an accordion? We wanted to take over the well-organised presentation from the first, the flexible capacity from the last. Voilà, you can see the result here – our model 670: A very high quality leather pack in size XL for everyone who has to carry quite a lot every day, like e.g. 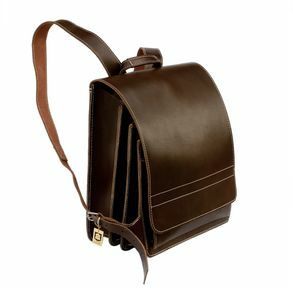 teachers, tutors and students, but who still do not want to miss out on a chic rucksack. 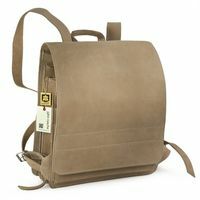 Even though a large hiking backpack would fit everything well due to its holding capacity, but you easily loose the overview over the documents you need and in addition to that, such an outdoor backpack fits better outside based on its look than in an office, university or school. 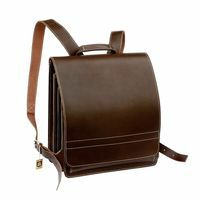 What all fits into this city backpack? 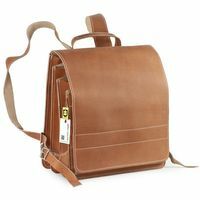 For example, a wide A4 folder, a 15 inch laptop, a pencil case, text books, sheets and other presentation material… –this daypack literally grows with its tasks. Still pretty slender when it’s empty (approx. 12 cm), it can widen to more than double the size (approx. 24 cm), if needed, e.g. if you have to take the stack of exam booklets along as well. 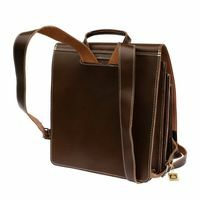 Furthermore, you can pull the dividers together with a Velcro strap, that way even more can fit into the single compartments – always according to the slogan: do not waste any space! 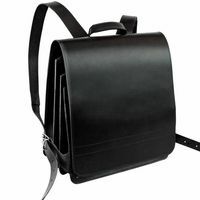 According to the height of the content, the large flap is attached further up or down alongside the long Velcro straps on the front and keeps your things securely together in the backpack. 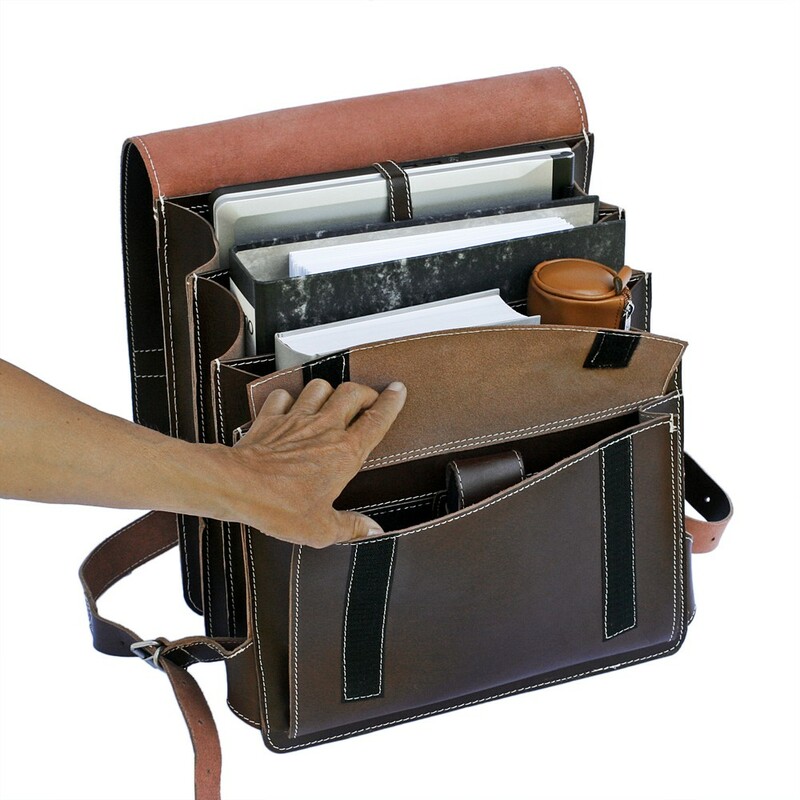 So when you need your documents in class, during a lecture or in your advanced training course – just open up the flap and immediately everything lies there well-arranged and within reach. To reduce unnecessary weight, the inside walls of the backpack are made out of lighter leather fibre fabric. 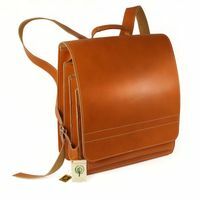 Furthermore, the city bag is crafted out of very firm, sturdy quality leather, which is processed raw-edged, and is unlined by design. 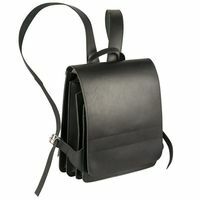 With that, a long life of the practical leather book pack is guaranteed. You can carry the rucksack not only by adjustable shoulder straps, but also with a reinforced carry handle.